- The perfect combination of a relaxation, keeping fit and learning combined into one epic swim camp! What’s the Hawaii Swim Camp? 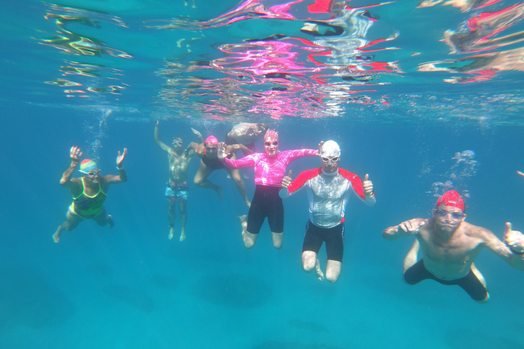 A 6 night / 5 day technique intensive swim camp for adult open water swimmers and triathletes with Brenton Ford (Effortless Swimming head coach) and Gary Hurring (Olympic Swimmer and Coach). 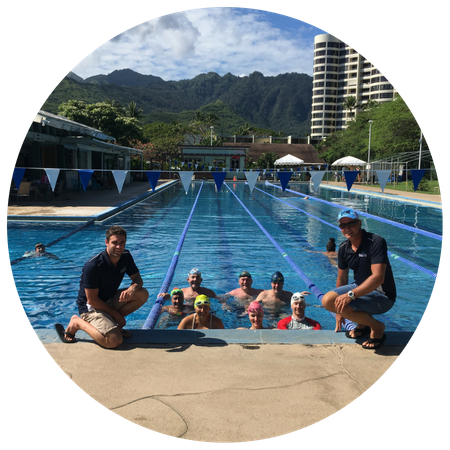 Accommodation, airport transfers and transport from hotel to the Oahu Club, all coaching and swim sessions, video analysis, filming and talks. Group welcome at the Oahu Club. Easy morning swim to begin the camp with full underwater filming and analysis of your freestyle. Identify your key technique focus points to work on during the camp to help you swim faster, easier and more efficiently. Athlete screening (flexibility testing) to discover where you can find extra speed through better mobility. Afternoon session of drills and exercises to make changes to your stroke and develop strong freestyle fundamentals. Learn our pre-training theraband and massage ball routine to increase scapula stability (for a strong catch), avoid injury and increase your range of motion (to improve your catch position). Easy swim focused on swimming with the posture, line and balance of elite swimmers with follow up filming and analysis. Afternoon session on pacing, changing speeds and judging your effort vs pace when racing. Morning session on why your freestyle catch is the most important part of your stroke and our step-by-step process to developing a propulsive catch that’s comfortable, sustainable and allows you to ‘feel’ the water even if you have very little swimming background. Underwater filming with a focus on catch and pull. Afternoon session on how to use sustained endurance workouts to pace yourself perfectly every time you race and build a strong aerobic engine. Morning session on finding your rhythm and tempo for easier speed and efficiency in your stroke. Sprint workshop on how to increase your maximum speed and use it when needed in a race. Follow up underwater filming and analysis to refine your technique. Afternoon session on open water skills and how to cut minutes from you race times by sighting and drafting better and adapting your technique to any conditions. 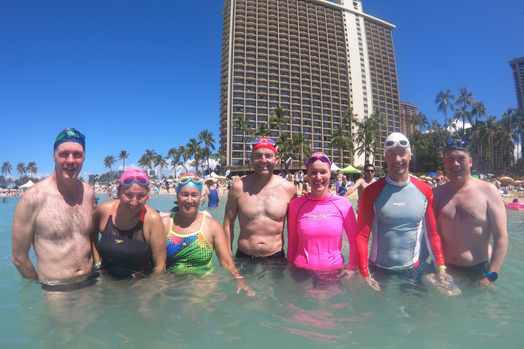 Open water swim at the amazing Lanikai beach or the Waikiki roughwater swim course in the morning (depending on conditions). Some fun in the pool (a surprise set!) to finish off the camp with a final underwater filming and analysis and game plan to help you continue improving after the camp. Head out for dinner and drinks with the group to finish off an amazing week! 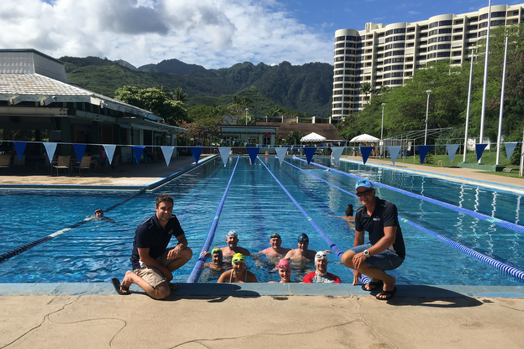 Join us for the Hawaii Swim Camp! Bookings are taken on a first come, first served basis with a limit of 12 spots available. Payments for the camp are split into five monthly payments. If for any reason you cannot make the camp after booking, you can transfer your spot to another swimmer or we can refund your booking less a $200 admin fee. There are no refunds available within 30 days of the camp. How much swimming will I be doing during the camp? Each session varies between 2-4km with there being 10 swims planned for the camp. The morning sessions have a very technical focus with filming, analysis and feedback from the coaches as well as skill development. The afternoon sessions are about putting your new stroke into practice and learning how to optimise your training for better results in your races. Most swimmers will do 25-30km during the camp. We have a wide range of speeds and swimming abilities attend the camp. Because we have between 2-4 lanes for each session we’re able to cater for most levels of swimmers. The minimum requirement is to be able to swim 400m in under 10 mins. Yes! The swim sessions are 8-11am and 1-3pm each day. So there is free time between sessions and afterwards for you to spend time at the beach, explore or simply relax. Because of the short amount of time between sessions we won’t be returning to the hotel but there are places to eat nearby. When should I arrive for the Hawaii Camp? Check in is available from 3pm on March 26th so we recommend anytime from then on. 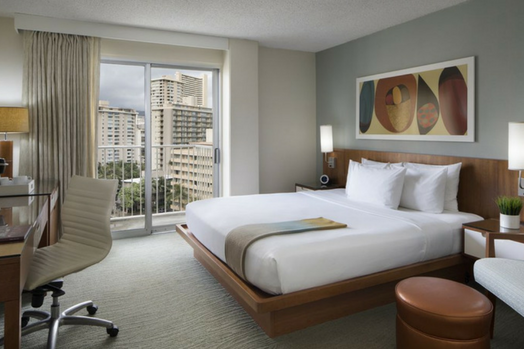 We begin the camp at 7.00am on March 27th where you’ll meet in the hotel lobby before heading to the Oahu Club. The camp finishes at night after our final night dinner on March 31st but you have accommodation included until April 1st which means most people will depart then.